Use Day and Night in HD resolution – take your shots in color at high resolution with Binox-HD. No blurry images regardless day or night! Have you seen a vague shape mountain climbing a ridge at dusk? You point your rifle towards the movement and see it’s a fellow hunter, and they aren’t happy to peer that they’re for your sight! Your point of view, and a fellow hunter’s safety, could change with a good pair of night vision hunting binoculars. ATN’s BinoX-HD binoculars are the most efficient zoom binoculars for spotting scrape lines and game trails, you didn’t know existed. Smart Rangefinder – built in rangefinder lets you range your target without carrying additional equipment. The rangefinder will calculate the gap of an object from the purpose you might be viewing. 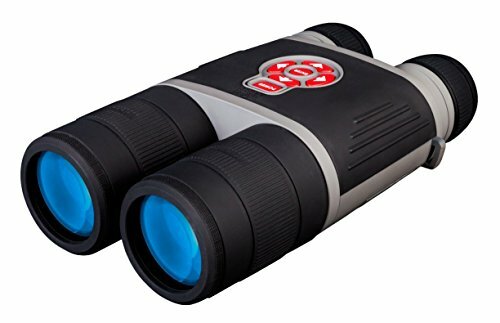 3D Gyroscope and E-compass – binoculars have a gyroscope built into them. The gyroscope helps to keep images steady and blur-free. Smart e-compass helps you navigate by pointing for your heading. E-Zoom – permits you to magnify to focus on without losing what’s for your FOV like with step zoom systems. 1080p HD Video Recording & Photos, Wi-Fi Streaming – assist you to record your whole hunting trips, the use of your phone / tablet as a viewfinder. Firmware upgradeable. Are you in a position to; scan the realm and get a clear lay of the land, see animals in action after they don’t know you’re around (day or night), or be capable to change your approach in response to terrain and activity you’ll’t see with the naked eye? If that is so, take hold of the most efficient night vision binoculars available in the market for a more measured, smarter, and some distance much more likely to finish in success hunting experience! 3D Gyroscope and E-compass – binoculars have a gyroscope built into them. The gyroscope helps to keep images steady and blur-free. Smart e-compass helps you navigate by pointing for your destination.